Treat your Mum at Daisy’s this Mother’s Day. 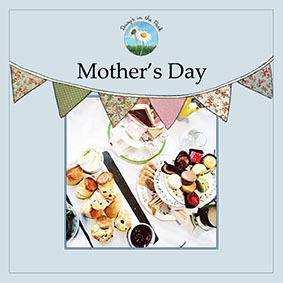 We are offering a complimentary breakfast for all mum’s until 12pm on the 11th March (one complimentary Daisy’s breakfast when a full priced Daisy’s breakfast is purchased T&C’s apply) Book your table today to avoid disappointment! Enjoy an afternoon tea from 1pm Saturday 10th and Sunday 11th March including a selection of homemade cakes, scones and sandwiches served on a vintage tiered stand. £13.95pp with a hot drink or £16.95pp with a glass of prosecco. £5pp deposit and pre booking required.